These 15+ Embarrassing Tweets By People About How They 'Once Got Caught' Will Make ROFL! Below are some of the honest, sticky, hilarious and some what embarrassing stories. For those who don’t, here’s what happens. He gives a topic like #AwkwardBreakUp, #MyFamily, etc. And people tweet about their funny, embarrassing experiences with the hashtag. 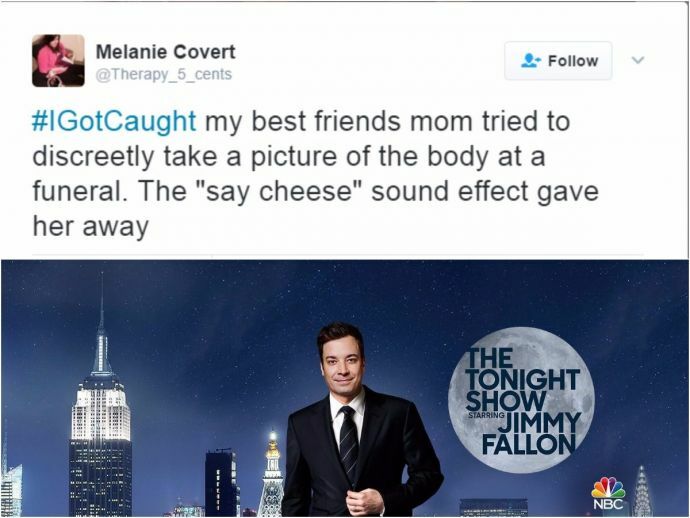 This week’s hashtag was #IGotCaught and yet again Fallon’s fans stormed the internet with their funny tweets. #IGotCaught My blind date walked me to the door and handed me a small slip of paper. I closed the door; on it was my phone number. @jimmyfallon #IGotCaught I was at a docs appointment and I saw a cute med student so I found him on Instagram... he blocked me ???????? #IGotCaught with my hand in the cookie jar. Anyway, I think Cookie Jar was her stripper name.